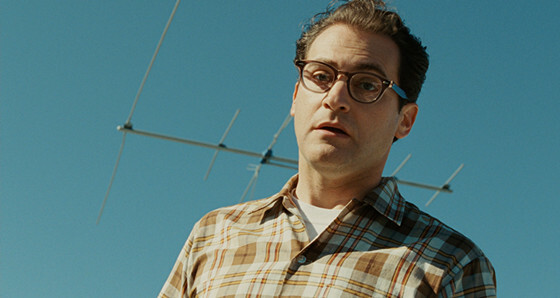 “A Serious Man” is one of the Coen Brothers’ low-key films that feature an intimate story and a relatively unknown cast. The story – set in Bloomington, Minnesota 1967 – is about Jewish physics professor Larry Gopnik (Michael Stuhlbarg), a serious and a very put-upon man whose life seems to crumble around him. His daughter is stealing from him to save up for a nose job, his pot-head son only wants him around to fix the TV and his brother is always an unwelcome house guest. On top of that his wife wants a divorce so she can marry her longtime lover. After the divorce Larry and his brother get kicked out of the house and forced to stay in a motel virtually penniless – Larry’s wife emptied his bank account. Despite all these terrible misfortunes, Larry remains a serious man turning to his Jewish faith for consolation. The story of Larry Gopnik is loosely similar to the story of Job of the Bible. Like Job, Larry receives nothing but hard slaps from life that would determine most men to curse their existence and its creator. Like Job, Larry does no such thing remaining faithful at all times, somehow trying to pass this test from God with his head up. Stieg Larsson’s novel had the privilege, or misfortune, to get two adaptations in two different languages; one was in his native Swedish and the other came from Hollywood, David Fincher and Daniel Craig. It was a privilege because it exposed his work to the whole world but a misfortune because it started endless arguments of Hollywood vs. Europe. The American version follows a disgraced journalist, Mikael Blomkvist (Daniel Craig), as he investigates the disappearance of a wealthy patriarch’s niece from 40 years ago. 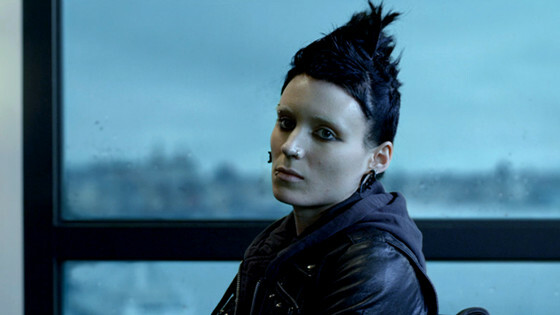 He is aided by a pierced and tattooed, punk computer hacker named Lisbeth Salander (Rooney Mara). As they work together in the investigation, they uncover immense corruption beyond anything they have ever imagined. Like “Se7en” (one of Fincher’s earlier films) this movie follows two persons’ efforts to catch a serial killer that acts upon misunderstood verses from the Old Testament. This time, it’s the Book of Leviticus, a Book based on the firm beliefs that the world was created as fundamentally good and must be kept so and that only fulfilling certain rituals can God’s presence be acknowledged. Verses of the Leviticus, especially those referring to uncleanliness and purity, are spread across the movie’s plot motivating both the killer and the audience. Terrence Malick’s masterpiece (according to some) or Terrence Malick’s pretentious nonsense (according to others) is very hard to describe into words. One has to see the film in order to form an idea but not even then one can’t be sure his/hers idea of the film is correct. The story, set in the Texas of the 50’s, presents itself like an impressionistic painting. 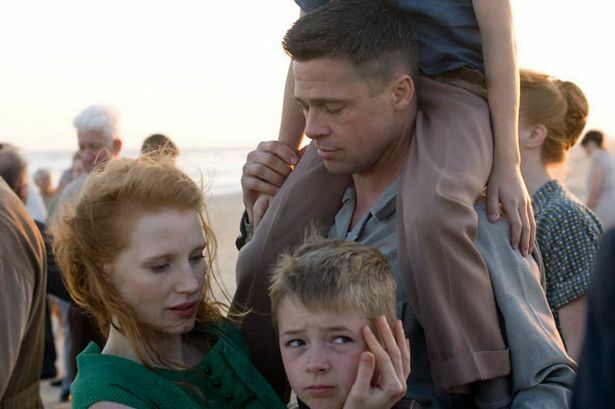 The film follows the life journey of the eldest son of a Texas family named Jack, through the innocence of childhood to his disillusioned adult years, as he tries to reconcile a complicated relationship with his father (Brad Pitt). Jack (played as an adult by Sean Penn) finds himself a lost soul in the modern world, seeking answers to the origins and meaning of life while questioning the existence of faith. Everything that Jack is or is not is traced back to his stern father and the influence he had on him. From time to time, the story is interrupted by metaphorical shots that reveal the Earth’s conception and evolution – beautiful images of lava, light, dinosaurs and a tree growing from the inside. If there was ever a film that drastically divided its viewers between lovers and haters then that film is definitely this one. The film has many Biblical and spiritual film cleverly inserted throughout its plot. It begins with a quotation from the Book of Job: “Where were you when I laid the foundations of the Earth?… When the morning stars sang together, and all the sons of God shouted for joy?”. Although the life of the main character does not parallel the life of Job from the Bible, the references are there. The play of good and evil – especially in human behavior – is always present in the film and although the fate of the characters is not a happy one the viewer somehow knows that God is up there creating something beautiful, something that we as humans can’t fully grasp. An aspiring Canadian author interviews the Indian storyteller Pi Patel to hear the firsthand account of his adventures. Pi recounts his upbringing India, where his father owned a zoo. When Pi’s family business fails, they embark on a sea voyage to Canada to begin a new life. One night, a violent and deadly storm hits the boat in which they travel and sinks nearly all that Pi holds dear. 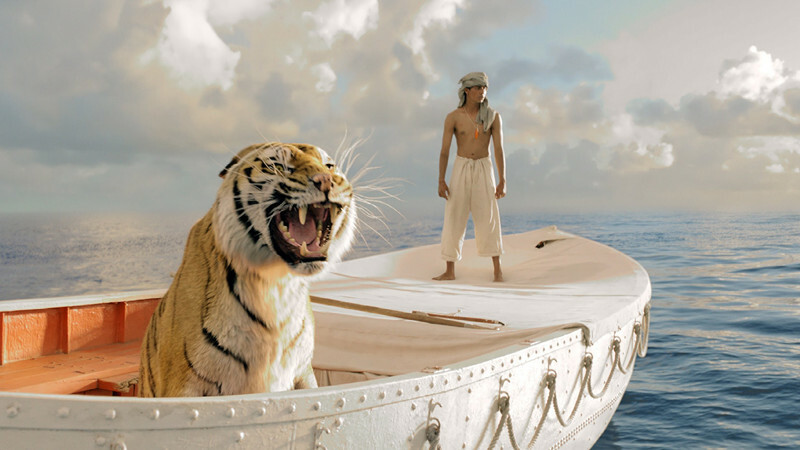 He survives in a lifeboat with several of their zoo animals, including a fearsome Bengal tiger named Richard Parker. In a struggle to survive, Pi and the tiger forge an unexpected connection that gives him daily motivation to live. Life of Pi is a tale of faith, hope, and the fight to survive. The references the stories of Noah, his Ark and the great flood are very obvious. Pi’s family embarks the animals from their Zoo on the ship just as Noah saved the animal species of the world on his Ark. The flood, of course, is another common term of the two stories. Another similarity is the fact that both of them are depending on God, while they are at sea, for guidance. Furthermore, both Noah and Pi had no choice when they were placed on their ships with all of animals. Interestingly, both Noah and Pi were spared from disaster; Noah was spared from the flood, and Pi from the ship that sank. IN the end, “Life of Pi” remains one of the visual jewels of the 21st century deeply rooted in the philosophy of belief. On the outskirts of a fictional small coastal town in the Barents Sea – where whales sometimes come to its bay – lives an ordinary family: Kolya, his wife Lilya and his teenage son Romka. The family’s well-being is haunted by the corrupt local mayor, who is trying to take away Kolya’s land and house (also serving as a small auto repair shop). To save his home, Kolya calls his old Army friend from Moscow, who has now become an authoritative attorney. Together they decide to fight back and collect dirt on the mayor. But things gets complicated for poor Kolya as his son rebels more and more against him and his wife, who he resents for trying to replace his mother. To makes matters worse his wife begins an affair with his friend leaving Kolya to fight the mayor all on his own in a battle he seems destined to lose. 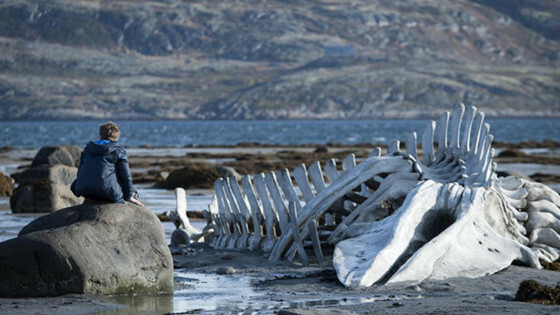 “Leviathan” won “Best Foreign Film” at the Golden Globes and was nominated at the Academy Awards, also in the “Best Foreign Language Film” category. It was praised for its Biblical inspiration – used in depicting the quirks of fate – and for its complex subject matter. At its core, it is a story of love and tragedy experienced by ordinary people. When going deeper into the subject, one finds out that the character development of the protagonist parallels the biblical figure of Job.